Considering La Esperanza Granada Volunteering Nicaragua? Volunteers who come from around the world to participate in our Children’s Education Volunteering program go out into the schools and assist the teachers, tutor young children, run sports programs, introduce children to computers, teach English and help stimulate an interest in learning. SUMMER SCHOOL TEACHER/ASSISTANT (DECEMBER AND JANUARY ONLY): During December and January, La Esperanza runs a summer school program for the children living in the barrios (kindergarten and grade 1 level). During this time, volunteers and local interns take full responsibility of creating, planning, and teaching lessons. We also run some special English courses during the vacation months of December and January. The minimum time commitment for this position is just 2 weeks and you should have an intermediate or better level of Spanish in order to be able to fully engage with the kids. LEARNING CENTER ASSISTANT (BEGINNING NOVEMBER 2016): Our new learning centers will provide safe, clean places where children can come to continue their learning in an informal environment once school is over. They will contain books to read, maths worksheets and manipulatives, spaces for drawing, coloring and writing, computers with educational games and much more. Volunteers will work with local interns to support the children to learn how to use the resources available to them, and to create a fun, positive learning environment through crafts, games etc. The minimum time commitment for this position is just 2 weeks, and you should have an intermediate or better level of Spanish in order to be able to fully engage with the kids. Kindergarten Assistant – you work with pre-school aged children in the kindergarten classrooms. Together with the teacher, you encourage learning through games and crafts. This work is especially rewarding since the kids are extremely friendly and open-minded. This position is available from February to November. You should have an intermediate or better level of Spanish to be able to play and chat with the kids. Kindergarten assistants work in the mornings, Monday to Friday from 7.30 am till noon. Friday’s classes often end early. As a Grade 1 Tutor/Classroom Assistant you work with students in the classroom and help them with reading, writing, math, etc., and help them keep up with the work assigned by the teacher. The teacher may ask you to work one on one with students who need extra help. This position is available throughout the Nicaraguan school-year which starts in February and ends in November. You should have an intermediate or better level of Spanish in order to understand the problems the kids have and assist them. Grade 1 Tutor/Classroom assistants work in the mornings, Monday to Friday from 7.30 am till noon. Friday’s classes often end early. As a Primary School English Teacher you teach English to primary school students in grades 4, 5 and 6. You will work in a team and teach in two schools per week, alternating each day. You will also have an assistant with you who will help you with the students and teaching. English team volunteers’ work Monday through Thursday and do lesson planning on Friday mornings. Depending on which schools you would be working from 12.30 – 4pm or 1 – 4.30 pm. This position is available from February to November and requires an advanced or better level of English as well as a basic or better level of Spanish. Sleeping: We have four low cost housing options available. The houses all have fully equipped kitchens, fans, washing machines, TV’s, Wi-Fi Internet connection, and are situated in the historic town centre of Granada, a short walk from our office. Own travel insurance recommended. Linen & Laundry: Sheets are provided, plus we employ local women who do the basic cleaning. Eating: Food and meals are not included. Volunteers often cook together in the volunteer houses. Transport: Managua is the capital city, and the closest major airport (MGA) to Granada. Some volunteers find it cheaper to fly into San Jose, Costa Rica (SJO). From Costa Rica, you can travel by air-conditioned coach directly to Granada. Including border crossing time, the ride is about 8 hours. As of April, 2013, the bus ticket is $27 and the border crossing fees are about $15. Normally you would need to stay overnight in San Jose both arriving and leaving, so don’t forget to factor this into the cost. For arrival in Managua we can send our regular taxi driver to meet you at the airport. He charges $30 for the 45 minute trip and will bring you directly to your volunteer house. Another alternative is Paxeo’s private shuttle which you can book online. No gender preference, all nationalities welcome. La Esperanza Granada Volunteering can accommodate couples in double rooms. As well we can accept volunteers who come together as friends. Minimum age is 18 years old. We do not really have a maximum age. As long as you are able to walk or cycle every day to the schools (around 40 minutes), we can accept everybody. Volunteering with La Esperanza Granada can give you great experiences. You are working in an international group, you are having great responsibility and you are living and working in a completely different culture which will teach you a lot. As a volunteer you will receive a volunteer card. This card will give you discount in a lot restaurants in Granada. 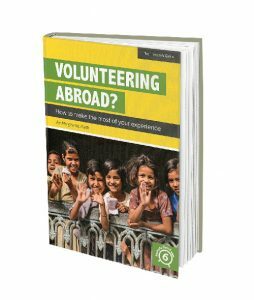 Join a Community of Volunteers: There are usually 20 – 40 volunteers from all over the world. Most come individually, sometimes with a friend, and sometimes couples. They work in teams, whether they are working as kindergarten assistants, tutoring the small children in primary schools, teaching English in the schools, in community research, with children’s activity groups, playing sport etc. Volunteers are never sent out into the community on their own and you will always have others to share the problems/joys and experiences with. Volunteers are assisting the local teachers, helping in the schools, or at times in our office, and volunteers are actively working, however as a volunteer you are not replacing an employee, or taking a job away from a local person.